Synopsis: Bera is a troll girl...but, unlike other trolls in her world, she merely has one head, instead of two or more. (Horrors!) Also unlike other trolls we might know, Bera is more like a caretaker of the troll kingdom and not necessarily a human-chomping monster. In fact, she is good and kind, and accumulates a variety of friends from the animal and magical worlds as she goes on her quest to return a kidnapped baby to the human village. Along the way, she deals with not-so-heroic heroes, a vengeful witch, hostile terrain, monstrous mermaids, goblins, wolves, and more. Lots of fun and new things are constantly appearing in this story, but it's paced well. Ultimately, the main character realizes her own abilities and there's a happy ending for all who deserve one. A classic sort of quest story. Observations: While the story itself is a fairly simple quest tale, it uses fairy tale tropes in a fun way that blends the expected and the unexpected. As Bera adventures on, she collects friends through niceness and good deeds, a positive thematic element that I appreciated, especially since it's not rendered in an overly moralistic way. 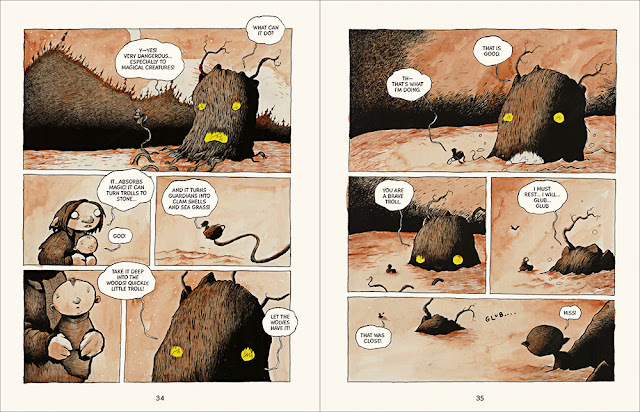 I loved the art on this one, too—like a blend of Maurice Sendak and Edward Gorey, with monsters that are scary-cute like in Where the Wild Things Are. 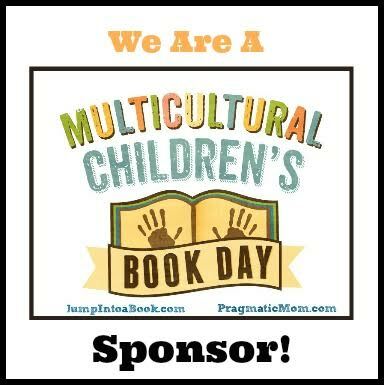 On our judging panel, there were mixed feelings about the rather monochromatic color scheme, which is understandable--this one isn't colorfully inked like many GNs for young readers. But I liked the spare use of color; it worked for me and gave it a sort of moodiness that I think will appeal to a broader age range. Conclusion: First Second has such amazing offerings for elementary and middle grade readers, and this is another strong addition to that collection. Funny and adventuresome and not too scary. I received my copy of this book courtesy of the publisher. 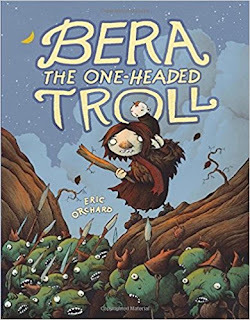 You can find BERA THE ONE-HEADED TROLL by Eric Orchard at an online e-tailer, or at a real life, independent bookstore near you!